I took the whole day off work on Friday. We had our final inspection in the afternoon, but that morning I ran to the Pottery Barn Outlet, which is about an hour away from my house. My mother-in-law came along and we also made a stop at Bronner’s. I was in too much of a hurry and forgot to take pictures #bloggerfail. I did purchase a few ornaments for our tree, but I’ll share about those another time. Did you know that Pottery Barn, West Elm and Williams-Sonoma are all part of the same company? Well, the Pottery Barn Outlet at Birch Run has items from all three of these stores for sale. 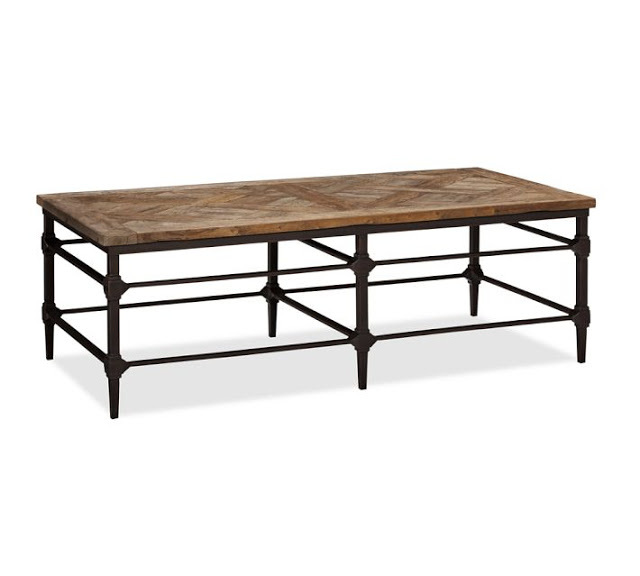 The nearest West Elm store is probably Chicago, so this is a way to find West Elm items a little closer to home and at a wonderful price. This summer I scored an awesome mid-century bed for my son. 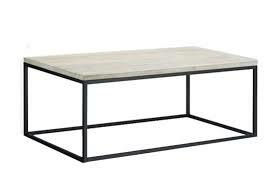 This is the West Elm Box Frame Coffee Table. It normally sells for $349. The outlet had marked it down to $178 plus they were having an additional 20% off sale. I got the table for around $150 total. It is smaller in scale, which means it would fit in the back of the Subaru Outback I had driven to the outlet mall without a problem. Overall a very successful trip and I need to go back again soon to look at a few more things. Like a $99 mirror for my powder room, $14 Christmas stockings and some really amazing coat racks and lamps.